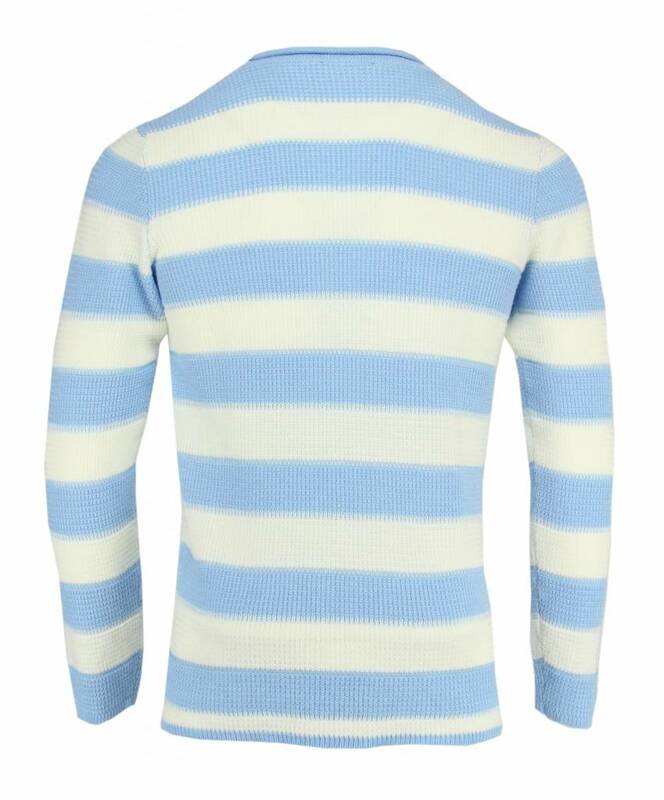 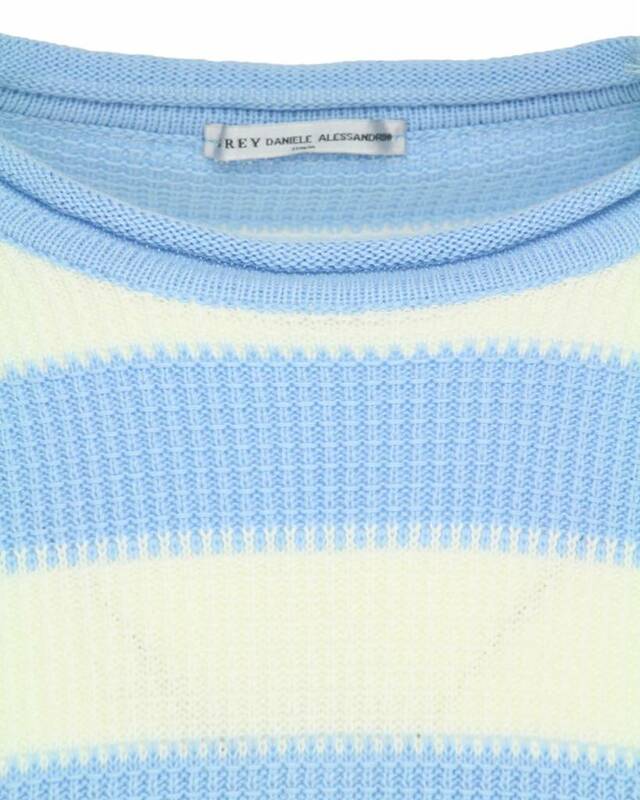 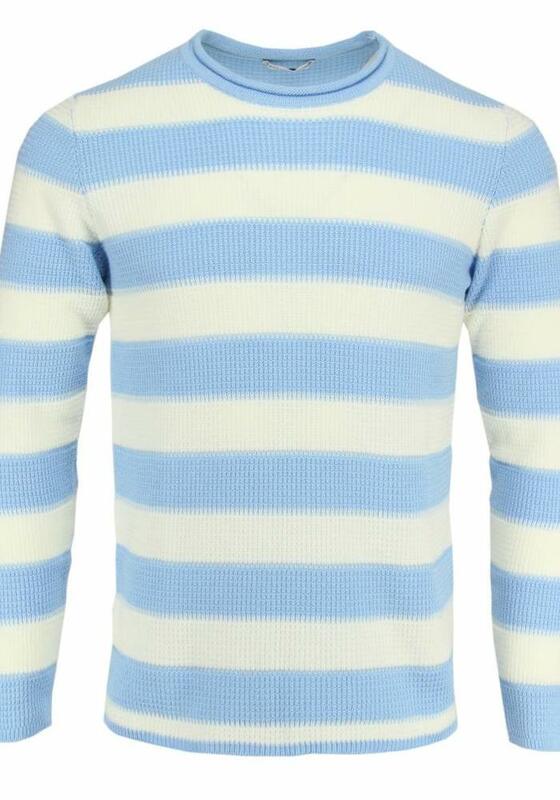 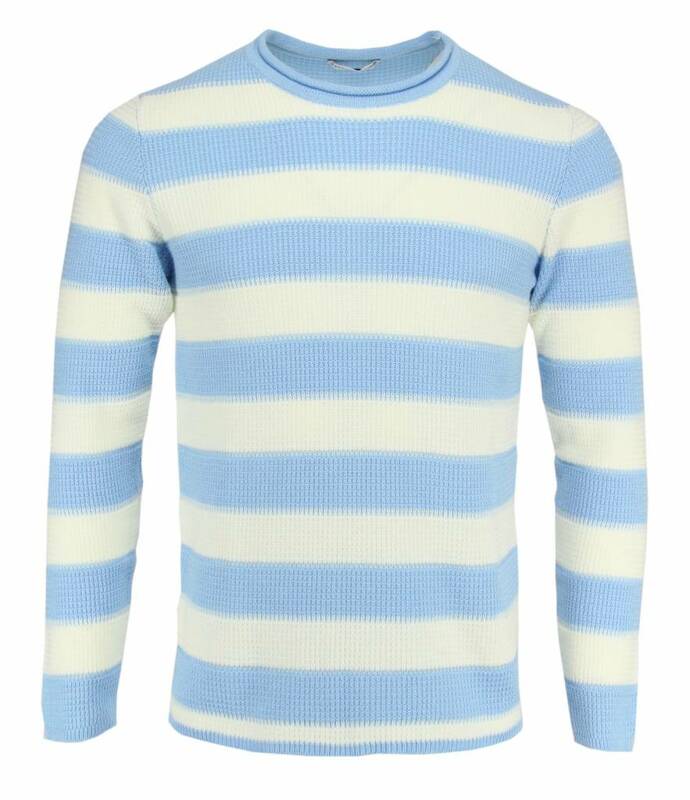 Daniele Alessandrini jumper in striped light blue with cream. 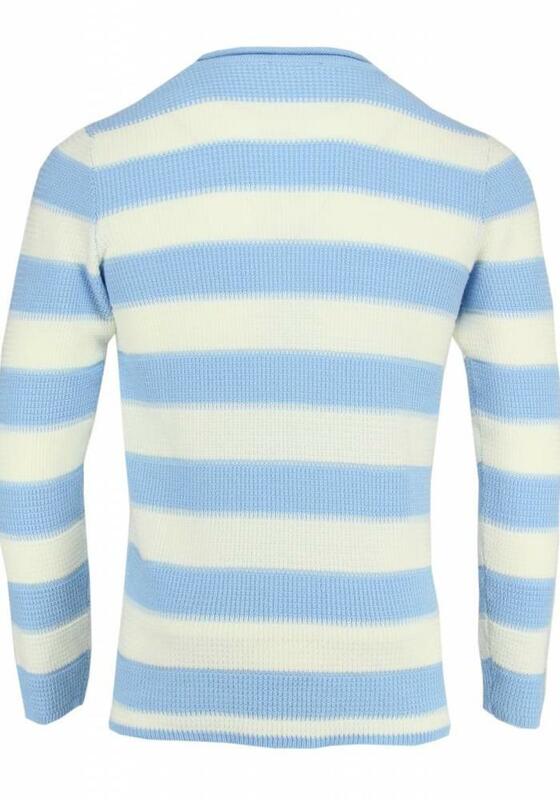 This knitted sweater has a round neck and a slim-fit. 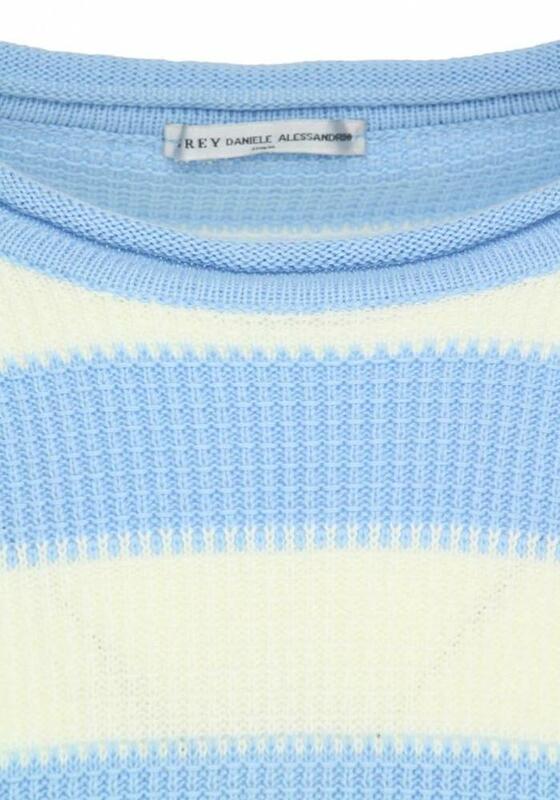 This Daniele Alessandrini jumper is made in Italy.